If you have found the car you always wanted, but it is not from your country, you do not have to worry too much about that, because today you have great providers who will happily import your car for you. For example, a good provider who can help you with importing a car to Australia is called Dazmac. Is the vehicle you want to buy eligible to enter Australia (or another country)? What are the import options you can apply under? The timeframes that are involved for you getting a permit, together with other necessary arrangements. What are the costs that are involved? Should you hire a broker? What are the government agency requirements? Will modifications be needed for the vehicle to enter Australia? All the risks that are involved with vehicle importing. This should go without saying, but you will have to apply for the vehicle import approval, and you can do so by registering with the department and completing the form online. After that, you can expect to pay about 50$ application fee. After you have completed the form online, you will have to wait to receive an email with the vehicle approval attached. This approval will usually have some conditions of the vehicle use, and without this, you cannot import any vehicle. You can hire Dazmac Logistics for importing motorhomes into Australia and they will explain how everything works in detail. Before the shipping, you need to make sure that the car is steam cleaned outside and inside, to remove all the materials that can cause a quarantine risk. If you are purchasing a car from another country, and you cannot do that yourself, you can hire somebody to do that for you. First, you will have to lodge an import declaration and then pay for the customs duty, GST, and even LCT if needed. As it was previously mentioned, it is always best to steam clean the car before the import, because there can be no asbestos in the vehicle during the import. After all, is done, you will still have to lodge a quarantine entry and inspection appointment too. This is much easier if you hire a broker to help you out, as they already know what is needed. Then you will have to meet import approval conditions, which means arranging the modifications if necessary, conducting testing and developing the evidence of compliance and so on. Once you have done all of the above, you should register your vehicle in the relevant state or territory. This is always different depending on where you want to register your car, and it usually does take a lot of paperwork and time. All of this can be done much easier if you hire a professional to deal with the paperwork. 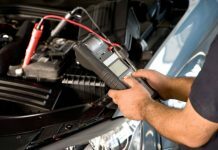 Usually, all of the above needs to be done no matter where you want to import your vehicle, but it can vary depending on the vehicle itself and the place of the import. Just make sure you have all the necessary documents before the car is even shipped because it is a pain to have it returned because of the lack of information.